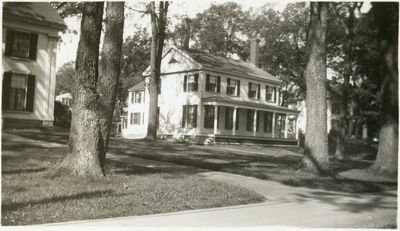 "Calais, Maine, Home of Elijah Dix Green "
An image scanned from a black and white photograph of the home of Elijah Dix Green. The caption notes the address as 267 Main Street in Calais, Maine. Elijah Dix Green was the father of Maine author Mary Hayden Green Pike.